In various interviews over the past 35 years Charlie Watts has expressed admiration for the talents of many drummers. But the fundamental connections of those he has noted as his favorites, help define his particular style, approach, and priorities as the drummer for the Greatest Rock & Roll Band in the World. 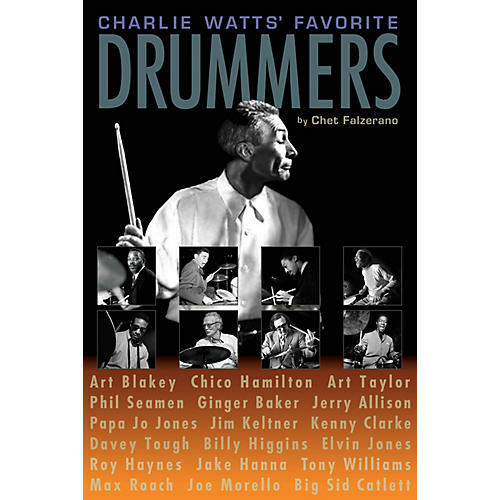 Here then, are 26 biographies of Charlie Watts' favorites drummers. Included are Art Blakey, Chico Hamilton, Art Taylor, Phil Seamen, Ginger Baker, Jerry Allison, Papa Jo Jones, Jim Keltner, Kenny Clarke, Davey Tough, Billy Higgins, Elvin Jones, Roy Haynes, Jake Hanna, Tony Williams, Max Roach, Joe Morello, and Big Sid Catlett.